“Creative activity could be described as a type of learning process where teacher and pupil are located in the same individual." 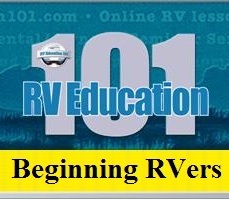 I hope you had an opportunity to watch the first episode of our new online RV how-to show. 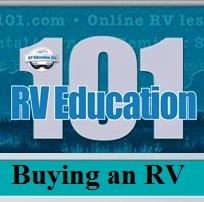 If not, it's available at our RV Consumer site and on our You Tube channel. 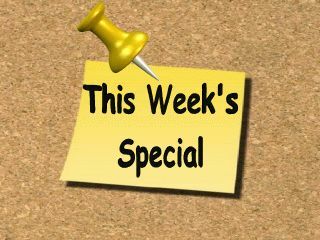 Thanks to all of you who commented on the show and for sending your questions in for the mailbox segment of the show. I want to take a minute to explain our preliminary plans for the show. 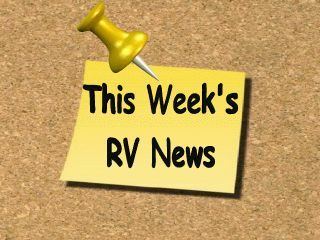 New episodes of Mark's RV Garage will be available for viewing every two weeks. 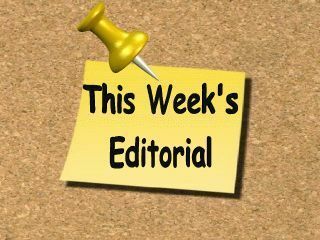 We will post the new episodes on Mondays, and the show will replace our weekly e-newsletter on weeks that a new episode is available. 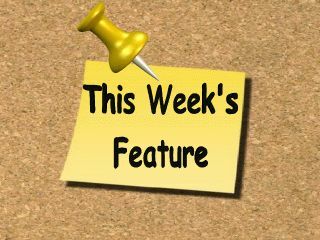 We will continue to distribute our e-newsletter during the off-weeks. Right now we plan to produce and release 8 episodes, covering a 16 week time period. At that point we will take a break while we work on future episodes. 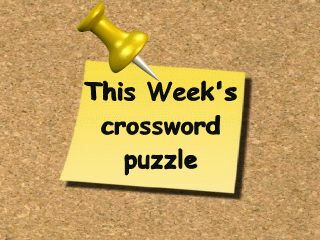 Episode number 2 will be available for viewing on 21 February and all episodes will be archived HERE for easy retrieval and viewing. Check out this week's poll: " When did you start RVing?" 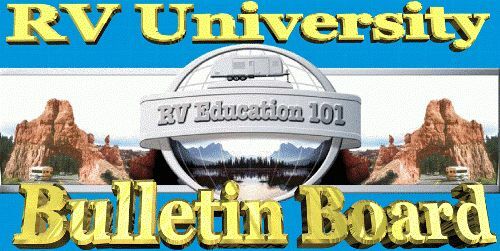 How much LP gas does the RV hold? 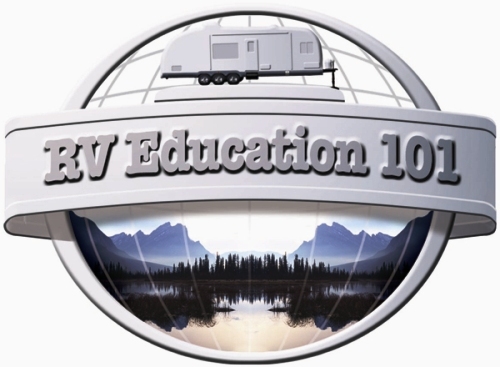 Is it enough for how you plan to use the RV? LP gas is used for the range and oven, the refrigerator in the gas mode, the water heater and the furnace. The furnace will consume more propane than the other appliances. On pop-ups and travel trailers, LP gas is stored in bottles or cylinders on the front of the trailer. There are two typical sizes. Twenty pound bottles (like on an outdoor grill) are used on pop-ups, and the taller 30 pound bottles are used on travel trailers and fifth wheels. A pop-up usually comes with one 20 pound bottle. An option that is available on some pop-ups is to add an additional 20 pound bottle. This works well if you do some long term camping in a pop-up. Travel trailers and fifth wheels usually come with two 30 pound bottles which is adequate for most types of camping. Motorhomes have LP tanks permanently attached to the vehicle chassis frame. These tanks come in all different sizes and this is what you need to check if you plan to do some extended camping away from where you can get more LP gas. Some tanks are small, about the size of one 30 pound bottle and others are much larger about the size of four or more 30 pound bottles. LP gas can be measured in pounds or gallons. One gallon of LP gas weighs 4.26 pounds. To give you some idea of how much LP gas you have a 20 pound cylinder holds 4.7 gallons and a 30 pound cylinder holds about 7 gallons. 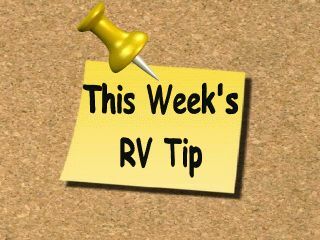 Make sure the RV has enough LP gas for how you plan to use it. 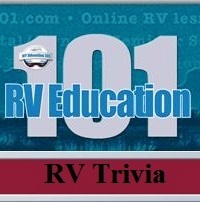 This play and learn crossword puzzle is "RV Electrical Savvy". 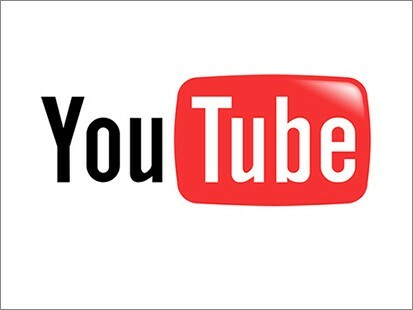 Q. Hi Mark - I enjoyed the first episode of your new Internet show. 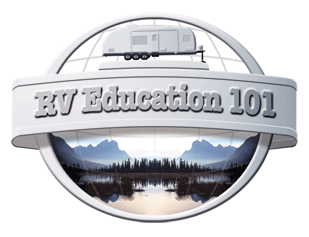 It offers a nice cross-section of issues that are important to RVers whether they are relatively new or have been doing it for years. I had a question regarding tire pressure monitoring systems (TPMS). In this first show you mentioned the importance of maintaining your tires. I have to say that one of the first things I bought was a VIAIR system that could reach the tires on our trailer, and I check my air pressure religiously. I have been looking at buying a TPMS. There are several brands that are mentioned. I was wondering what are the most important attributes you should look for when buying a TPMS. For example, I noticed that some require metal valve stems to hold their sensors. Are these better than those that can be used with rubber valve stems? 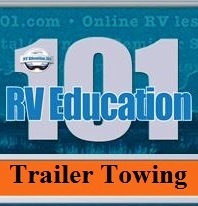 Because I have a travel trailer, should I purchase a repeater given that the monitoring unit in the truck cab is more than 25 feet from the trailer tires? I hope this will be of interest to others. I hope your "Go for the RV Gold" program is doing well. Good to hear from you, and I'm glad you liked the first episode. Any time you add weight to a valve stem it's recommended you replace the rubber valve stems with steel to support the additional weight. I have seen where valve extenders on tires cause a rubber valve stem to leak. The rubber stems may never leak, but then again one may leak at the worse possible time. I plan to do a segment on the new show about TPMS. I use a Tire Minder TPMS. I also got the booster (amplifier) because of the distance to tires on the vehicle we tow behind the motorhome. It works well. I did notice every once in a while it seems to pick up a wireless signal in the area, which can cause the monitor to react, but I guess with all the wireless signals out there these days this is to be expected. It's really nice to have the capability to check the tire pressure from the drivers seat whenever you like, and to know you will be alerted in the event of a problem with one of the tires. 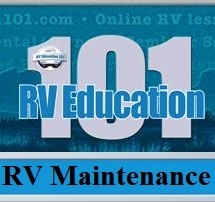 Deep Cycle Battery Care and Maintenance E-book *NOTE: This electronic file is to be downloaded immediately after purchase and is delivered in Adobe Acrobat PDF format.You can read it on your computer, Kindle, Nook and other e-readers or print it for reading later. You can also save this instant download to a memory stick or disc and take it to a print shop to have it printed and/or spiral bound. *It is a copyright violation to share these files with anyone other than the purchaser. 85% of all 12 volt batteries manufactured in the United States die before they should. Our Deep Cycle Battery Care & Maintenance E-book was designed to help extend the life of your deep cycle batteries and to save you money. With a little routine preventive maintenance your deep cycle batteries can and will last as long as they should. This E-book includes sections on understanding lead acid batteries, battery ratings, battery types, sizes and configurations, battery maintenance, testing, charging, storage and more. "Go for the RV Gold"